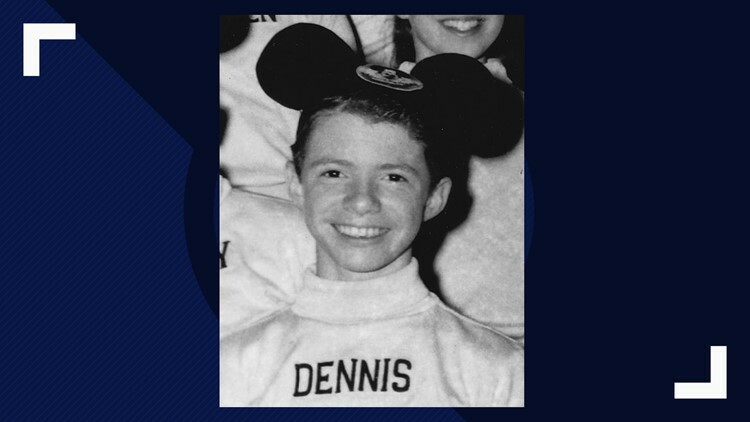 Photo of The Mickey Mouse Club Mouseketeer, Dennis Day, circa 1956. PHOENIX, Ore — An autopsy was completed on Monday on a body found inside the southern Oregon home of a missing former Mouseketeer, according to Oregon State Police. Despite the autopsy, identifying the body has proven to be difficult Oregon State Police told NBC affiliate KOBI. "There's no wallet to match up... the dental records aren't available,” Sgt, Proulx said. “And that's usually a pretty easy one we can do locally." The home was previously searched by Phoenix police, but it's unclear how it was done or why the body wasn’t found before. Authorities have not identified the remains or released additional information on how they were found. The evidence will be sent to Texas for DNA testing. Day's husband, Ernie Caswell, reported the 76-year-old missing in July, The Oregonian reports. Caswell suffers from memory loss and was hospitalized at the time. According to reports, Day disappeared after he told a man living at Day and Caswell's house that he was headed out to visit friends, leaving his dog in the man's care. Over a week later, Day’s car was discovered on the Oregon coast being driven by strangers, according to KOBI. The driver told police that Day had given them permission to use the car. No evidence suggesting foul play was found in the car. Day’s niece, Denise Norris, told KOBI the family first learned about his disappearance after seeing the news on TV. In February, “Dateline” spoke with Day’s family members, including his sister, Nelda Adkins, who said they are trying to pick up the pieces of what they call a “poorly handled” investigation. Friends and family have set up the Help Us Find Dennis Day! Facebook page where they post updates on the investigation. The Medford Assault and Death Investigation Unit investigating the remains is made up of investigators from the Medford Police Department, Jackson County Sheriff’s Office, Central Point Police Department, Ashland Police Department, the Oregon State Police, and the Jackson County District Attorney’s Office.